November 26th, 2011. Istanbul, Turkey. Work of an architect Mimar Sinan, 1490-1588 who was the chief Ottoman architect and civil engineer for sultans of that time. Here, completed in 1572, Sokollu Pasa Mosque. 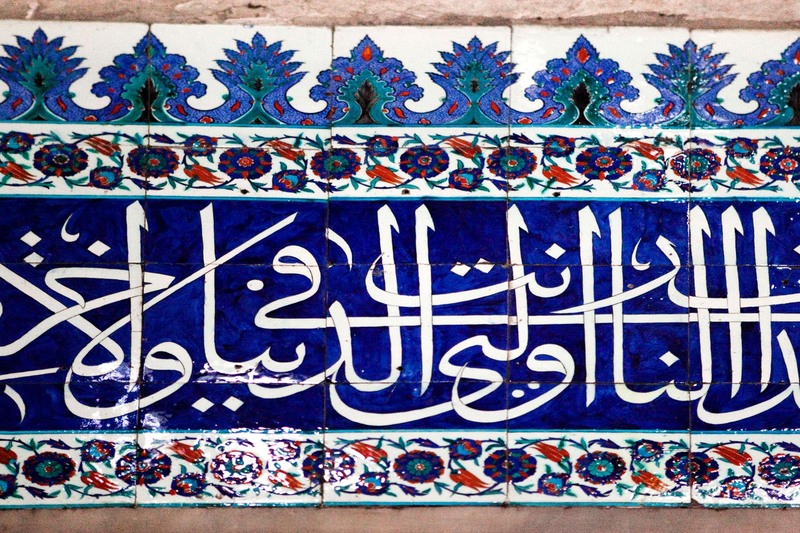 Large quantities of exquisite İznik tiles, set in a very wide variety of blue and green floral designs, with panels of calligraphy in white letters on a blue field. Piotr Redlinski for The New York Times.